Prepare yourself for the cuteness. Love Jewish food? Sign up for our Nosher recipe newsletter! Passover features some of the Jewish people’s most beloved — and loathed — foods: matzah ball soup, gefilte fish, rich stews and brisket, dates, and lots of (flourless) desserts. 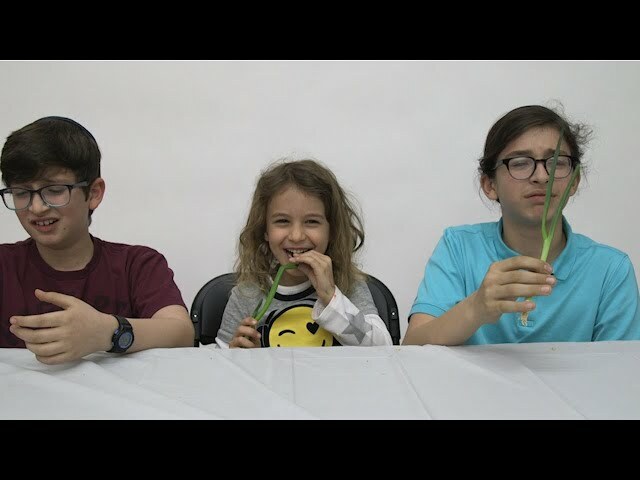 We decided to put the ultimate critics to the test to give reviews of traditional Passover foods: adorable children. The foods featured in this video include horseradish, gefilte fish, stuffed dates, matzah ball soup, coconut macaroons, store-bought jelly slices, chocolate covered matzah, and even scallions which some Sephardim include on their seder plates, and then later use to whip one another during the singing of Dayenu to emulate the slaves in Egypt. But we know, there are so many more foods and traditions we couldn’t squeeze into this video. Perhaps a sequel? For now, enjoy these ridiculously cute kids and their commentary. You don't have to travel to New York for awesome bagels.